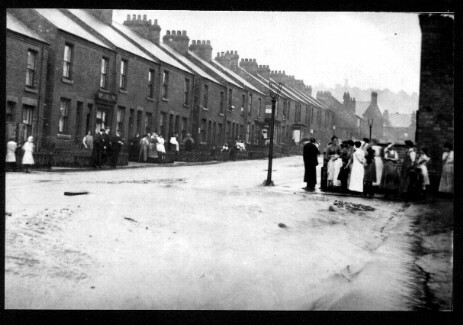 Water is never in short supply in Carr Vale but when a flash flood occurred on 27th July 1912 that cascaded down the escarpment from the top of Darwood Lane and onto the railway lines from the tunnel the village got a lot more than it was used to. 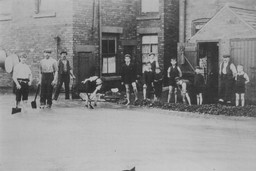 The track bed of the railway was awash and water flooded down Main Street and then down Charlesworth Street. It seems that a great time was had by all concerned. 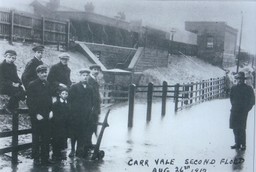 A little later in the same year it happened all over again Carr Vale’s Second Flood occurred on August 26th 1912. Little damage was done in any of the floods.